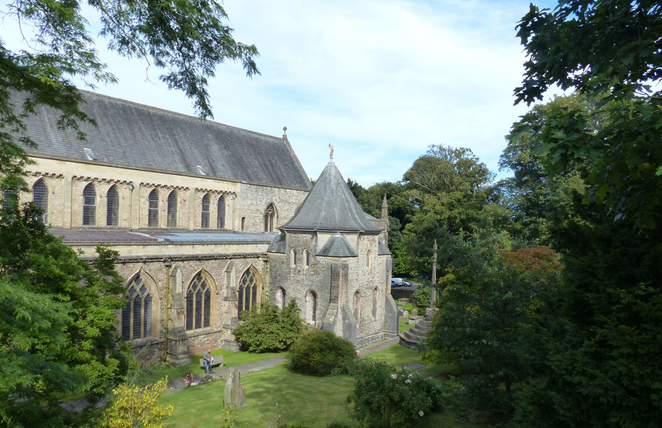 Llandaff Cathedral is located on one of the oldest Christian sites in Wales. It was built to replace a 6th-century monastic church, that is recorded to have measured just over 4m wide. 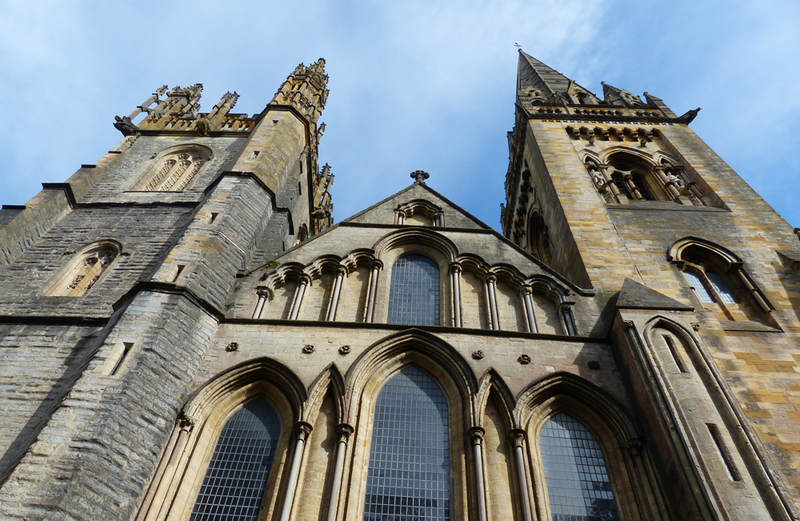 The cathedral is certainly a more impressive building and is an example of some of Cardiff's best medieval architecture. 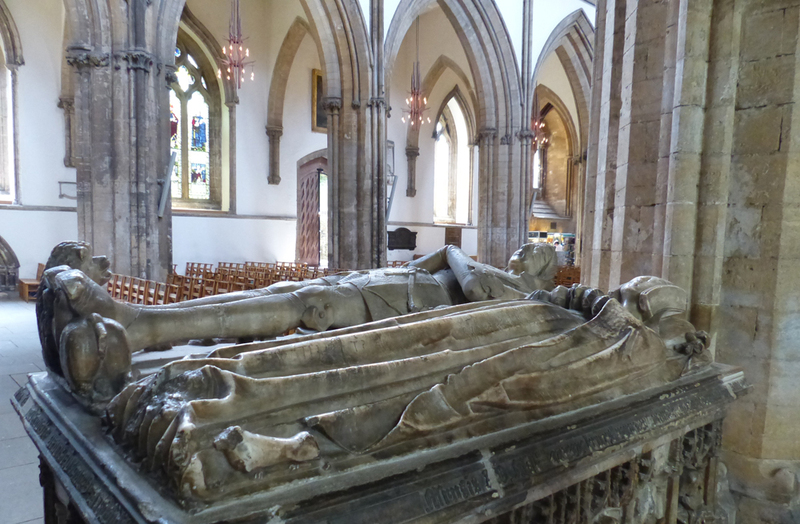 The Cathedral is an active parish, but it is welcoming to all and visitors are encouraged to explore the cathedral and discover the architecture and history of the building and the area surrounding it. Construction of the cathedral began in 1120 and is believed to have been completed sometime before 1183 but it has undergone periods of change over the years after sustaining damage from rebellions, storms, and even a bombing. In 1723, the roof of the cathedral collapsed, which lead to a new cathedral being designed and built through the eighteenth century. The cathedral suffered severe damage in 1941 when a bomb was dropped nearby. This led to the many repairs restoring the cathedral in its historical style, but also adding some more modern features such as the Majestas - an aluminium casting of Jesus Christ that sits on a concrete arch in the centre of the nave. The nave is the main section of the cathedral, but the cathedral also features several other smaller chapels each with its own purpose and its own style. Throughout the cathedral, the building is not the only thing to marvel at. There are artworks that were have been created at various stages of the cathedral's life, impressive stained glass windows, medieval tombs, and a large pipe organ that is partially integrated in the large concrete arch of the Majestas. Volunteers at the cathedral are very helpful and enthusiastic about the cathedral and its history. You'll be able to learn a lot yourself by through reading provided information, but if there is someone nearby they'll gladly share more about the cathedral. It's just important to remember that the cathedral is a place of worship, and while it is open to the public you should make sure you are respectful of both the building and the people who practice there. 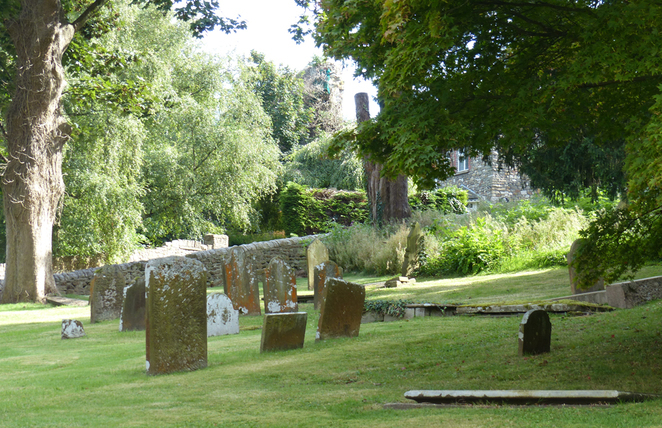 Coming down the hill to the cathedral you are greeted with rolling green lawns and historic graves scattered over the cathedral's cemetery. 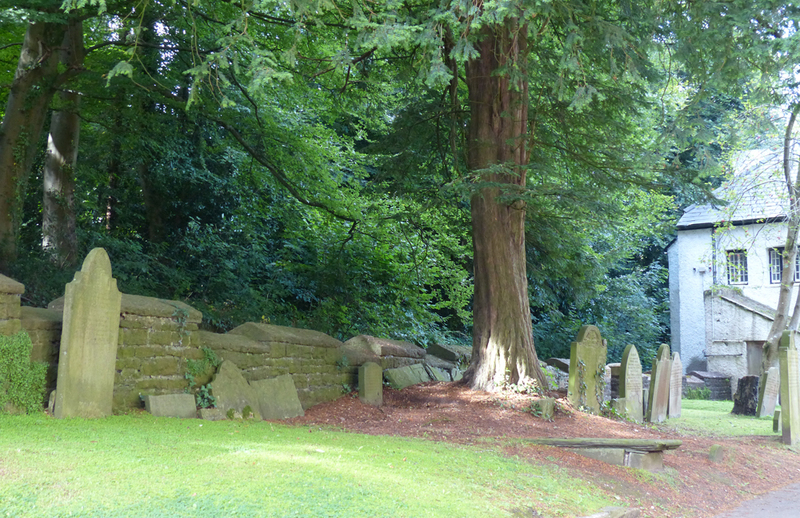 It's very striking, but it's also very interesting to wander around the grounds and read what you can, from the crumbling headstones. There are other interesting things to see, such as a landmark making the spot of the 1941 bombing. Llandaff Cathedral is a stunning piece of architecture with a rich history behind it. 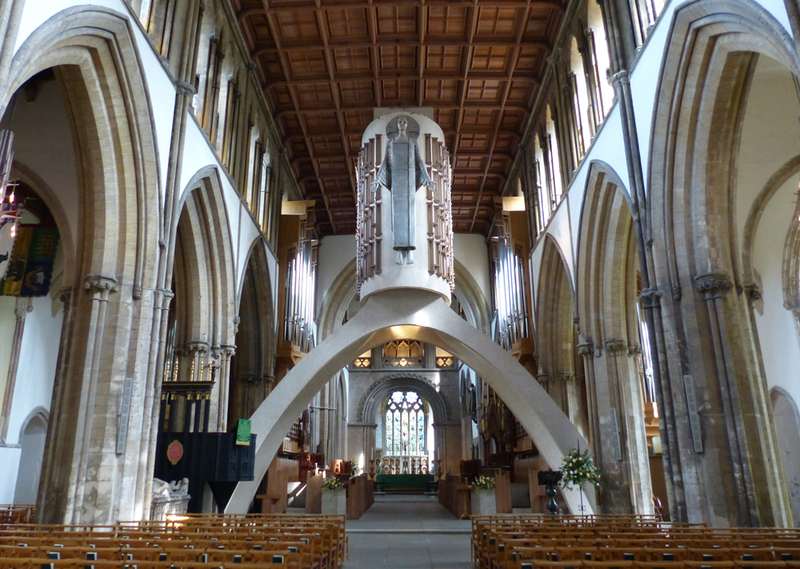 If you're interested in historical buildings or old religious sites then it is a must-see spot in Cardiff. 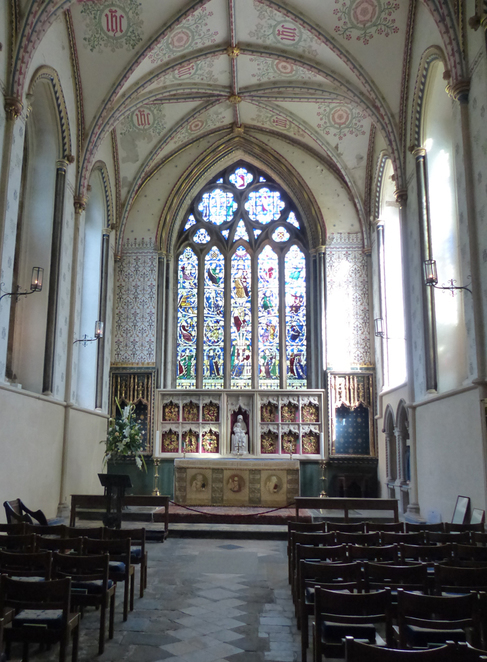 The cathedral is generally open in daylight hours and there are daily services as well as the special Sunday service.